Before you get a sale, you need to attract people to your site. No matter how good your product is, if people do not find the site appealing, they will not purchase the item. In fact, when your web design is outstanding, people might buy your product before they even know what it is for. It’s always best to keep everything consistent under the same theme, even when the customer clicks on to the next page. You should use a designated font for the titles, headings, and details. It is also crucial to keep the colours consistent on the website. Make sure that the colour of the text does not blend into the background. There should be a contrast so that it is easy for the visitors to read the details. It’s best to spend some time planning out which colour to use for what purpose and thinking about the overall look of the website. This will help you put together a site that is cohesive and united in terms of design. A call-to-action, also known as a CTA, is a marketing term that refers to any elements that encourage customers to react to it – for example, “click for more information,” “subscribe to the newsletter,” or “Buy Now!” CTA is one of the most essential features on your website that will increase online engagement and sales. Yet, many people continue to neglect it. For this reason, you should consider your CTA carefully and get ahead of the game. To begin with, the physical appearance of CTA needs to be eye-catching and lure your potential customer into interacting with it. Try to make it pop out because it will increase the chance of the visitor clicking it. The customer should be able to see your CTA at first glance. Other than the appearance, you need to consider the steps that the customer will be taking when they visit your site. Refrain from attacking them with a lot of questions and an intrusive CTA from the second they click through to your page. This will only make them feel overwhelmed and cause them to leave. It’s best to start by attracting and introducing potential customers to your product and service. Then, you may proceed to a strong call-to-action without scaring them away. This way, there will be an increase in online interaction and sales for your business. Some business owners only focus on making the website looking fantastic by adding many pictures and features. Yes, you might get an amazing aesthetic appearance for your site, but your site may take over a minute to load. This is not what you should aim for. The ideal loading time is under five seconds. Imagine if you were clicking on a link. Would you wait for the website to load up for more than 10 seconds? We don’t think so. Run a test on your site’s loading speed and figure out what element is slowing it down. 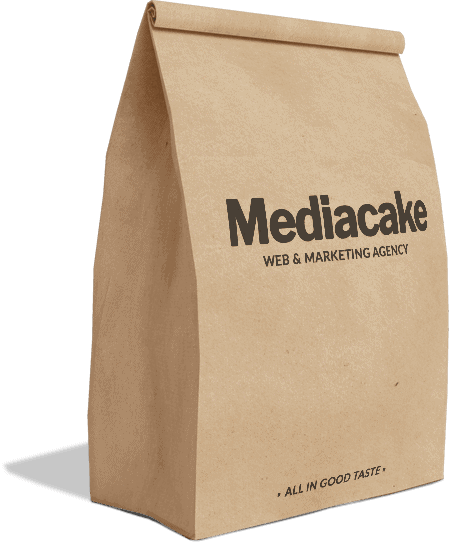 If you’re looking for a website design agency in Bangkok to help make your website modern, Mediacake is here to help. Get in touch today to see how we can help.